I was so excited when Mari at Inspired By Family shared her idea for the 21 Days of Contagious Gratitude family challenge and I couldn’t wait to sign up. I have always loved Thanksgiving, even as a child I liked the coziness of the holiday and the chance to share how thankful you are for what you love. Today’s gratitude prompt is a skill/talent you possess. As soon as I saw it I knew what I was going to write about. Reading. I am deeply grateful for my ability to read. I am so very thankful that this skill is one that was nurtured in me from the time I was a toddler. I treasured reading and the world of books all of my life. 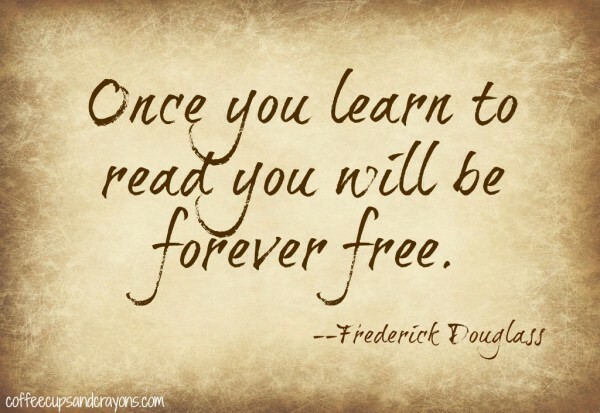 Learning to read changes your life forever. It gains you immediate access into the world of make-believe and a front row seat to the new discoveries of the day. It is empowering and uplifting. And definitely something to be grateful for. This isn’t the first time I’ve sat and thought about the value of reading. I spent my career as special education teacher. The students I worked with had reading levels all across the board and I can tell you that no one understands the importance of reading more than those who can’t read yet. I am grateful that not only can I read, but that I can teach others to as well. It is an amazing thing to be able to do. I once had a fifth grader who went from reading no words to being able to read simple books. It was a big deal, 10 years without being able to read a word, not even his name. I remember the day that he read a book for the first time–it was a much a gift for me as it was for him. And trust me, he was over the moon. Now that I’m a mother the ability to read has taken on yet another dimension. Reading to and with my own children defies description. You know what I’m talking about. It’s magical. And watching them become readers and love books, well, to quote my favoriter photographer, it makes my heart explode. And so today I’m grateful. And I hope more than anything to make this gratefulness for reading contagious. So I guess I’m also grateful for Inspired By Family Mag for helping me stop and reflect about how passionate I am about reading. What are you thankful for today? Have you and your family joined in the challenge? If not, start today. Share your gratefulness with others. In person, on FB, on twitter, on instagram, however you want–let’s make gratfulness in every form contagious this year! 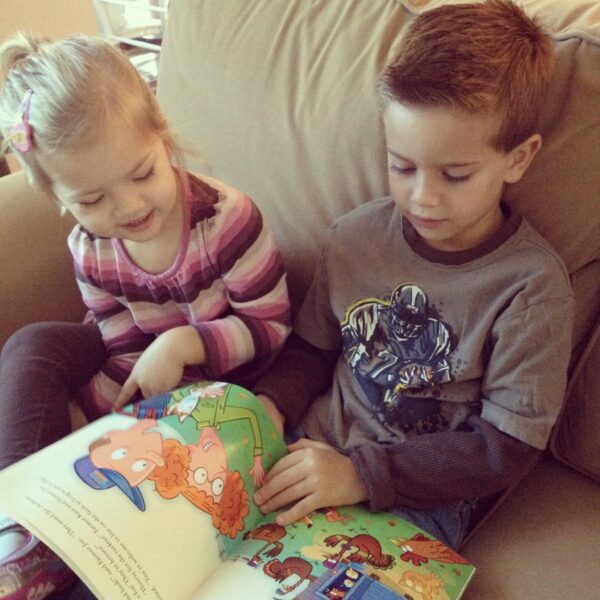 Sweet pictures of your little readers! You are right, it is something to be thankful for. Thanks for helping me to stop and think about it! I am so thankful for reading, too. What a great way to think about it. Thank you for this post. 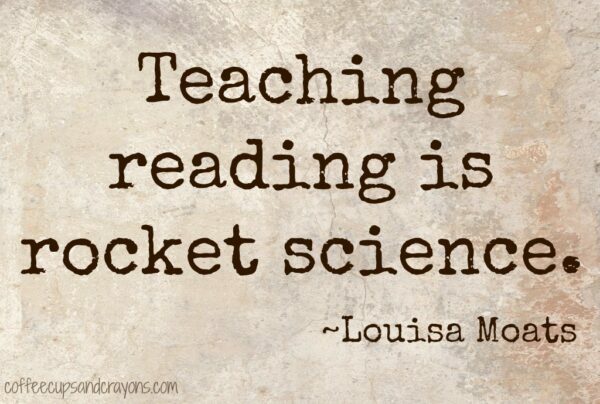 My mom was a reading teacher, so I certainly understand this post as well. I also saw the value of this a lot when working with students whose parents did not read and speak English and struggled with their desire to assist their children with school work and their inability to do so. It is so important to be reminded of being grateful for things we can take for granted. I’m also SO thankful for reading!!! I love it. Total book worm. When I was in the 4th grade, I used to have friends over and get in trouble because I was sitting reading a book instead of playing with my friend! And I love that you have shared that love with your children and others! We would have been great grade school friends because I used to do that too!! !